The Port of Miami is a major Caribbean cruise gateway. If you want to cruise, you'll likely find a cruise itinerary to suit from this port. Multiple cruise ships from many lines call this port 'home." Close to urban Miami's attractions and South Beach's tropical charms, the Port of Miami also offers much for cruisers who want to stay a night or more pre- or post-cruise. Freelance writer and copy editor Lizz Dinnigan examines the basics about the Port of Miami. She outlines its upcoming upgrades and discusses parking, taxis and attractions. So come along! 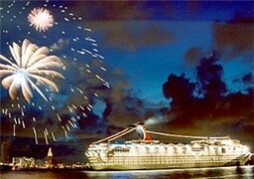 Headed for Miami on a Carnival cruise? Be advised that Carnival has new digs! 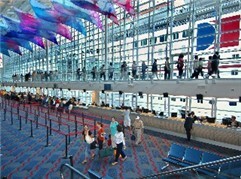 The line recently began operating from Terminal D and Terminal E, the newest passenger facilities at the Port of Miami. Providing panoramic views of Miami and Biscayne Bay, the terminals can accommodate approximately 4,000 cruisers through separate embarkation and debarkation facilities. Miami exudes the heart-pulsing soul of the Latin community. Many immigrants from throughout Latin America and the Caribbean have created new lives in this South Florida city. South Florida freelance writer Luisa Esquiroz Arellano immigrated from Cuba with her family in 1962 and is a proud Cuban-American citizen. She takes a look at Cuban heritage and tourism in Miami's Little Havana neighborhood. For Hispanic visitors and all Americans who want to learn more about the colorful Cuban culture, Luisa explains where to go, what to eat and what to buy. So whether you want to enjoy salsa dancing, dine on paella and flan, or just shop for a guayabera, a traditional Cuban shirt, you'll find many diversions.